Learn about MSC, our goals, and our members. Find out the member levels and benefits. Our yearly meeting is not to be missed! Explore our legislative and regulatory reporting program. Find out how your message can reach our members. 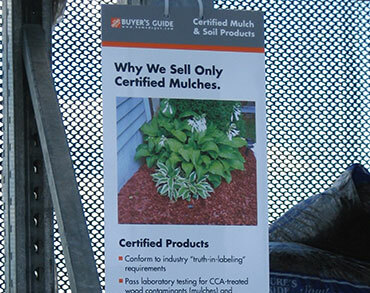 View the accepted industry standards for mulch and soil products across the country. Developed to help consumers and retailers identify products that conform to the industry-accepted guidelines. Resources developed by MSC to assist consumers in selecting the proper product for their intended use. The business environment for the mulch and soil industry has changed dramatically in the last few years. The key to remaining ahead of the game is having access to information. Members-only access to special services. The Council sponsors an annual meeting offering owners and key company managers education on important regulatory and business issues for the mulch and soil industry. Council meetings are also a forum for new business relationships that can lead to new business opportunities and better vendor relations. Tracks legislation and new regulations in the 50 states and provide members with ADVANCED WARNING of bills that can help or hurt your business. MSC works to create or change laws in order to assure our industry’s right to do business without unfair regulatory burden. MSC’s history of effective industry representation has made it the leading advisor to federal and state governments on mulch and soil products. Educational videos for consumers and training resources for industry partners. MSC’s Uniform Voluntary Product Guidelines for Horticultural Mulches, Growing Media and Landscape Soils (UVPG) are the accepted industry standards for mulch and soil products across the country. These guidelines were developed over a five-year period of industry debate among Council members and non-members to define product nomenclature, uniform product characteristics, minimal performance objectives and proper labeling requirements to inform and protect end users. The MSC Product Certification Program was developed to help consumers, retailers, regulators and others identify products that conform to the Voluntary Uniform Product Guidelines for Horticultural Mulches, Growing Media and Landscape Soils (VUPG). 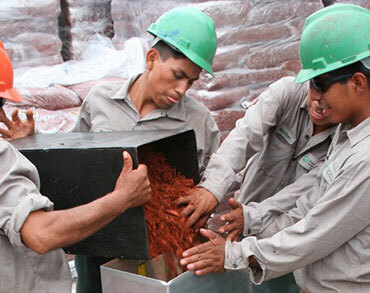 In 2003, the MSC launched its Product Certification Program. Products that pass the review and testing requirements and comply with ongoing audit testing of products in retail markets earn the badge of the MSC certification logo for their packaging. A special recognition program for mulch & soil producing companies demonstrating good industry business, production and control practices. Join us in San Antonio on September 24-26, 2019, for MSC’s 48th Annual Meeting. Our host hotel is the Palacio Del Rio Hilton on the most famous river walk in America. Join us for the only meeting dedicated to just the owners and top managers of North America's best mulch and soil producing companies. Board & Committee Meetings Review, New MSC Officers Announcement, Trucking Overtime Ruling, Inspectors Claim FMCSA Issues Too Many Excemptions, Call for Honors Nominations: John Leber Distinguished Service Award, What’s “Organic”?, Equipment For Sale, Truck Drivers on the Lookout for Spotted Lanternfly, EPA Denies Petition for Increased Asbestos Reporting, Certified Product News, New Member Welcome, Mark Your Calendar, and much, much more. Recent questions from producers in the field indicated in new look at Carbon Black was warranted. After months of review, MSC's Carbon Black Committee has issued their report in a Special Advisory Notice. In an analysis of homeowner water use in California, The Univ. of CA Cooperative Extension Service recommends mulch as a tool to reduce water use in home landscapes that represent 9% of total water use in the state. The MSC truly is your resource for answers to problems facing today’s mulch and soil industry. 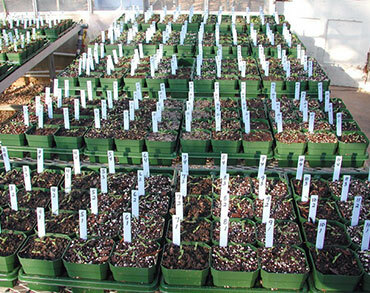 Founded in 1972, the Mulch & Soil Council (MSC) is the national non-profit trade association for all producers of horticultural mulches, consumer potting soils and commercial growing media. The mission of the MSC is to define quality products and promote a fair and open marketplace. The mission of the MSC is to define quality products and promote an open marketplace for producers of horticultural mulches, consumer soils and commercial growing media. The Council Newsletter conveys information on statistical trends, weights & measures regulations, product standards and nomenclature, Council committee activities, safety information, and a variety of other topics. Our Uniform Voluntary Product Guidelines (UVPG) are voluntary product standards and definitions. MSC members are expected to subscribe to these guidelines in principle. However, companies enrolled in the MSC Product Certification Program must adopt these guidelines as mandatory standards as part of the program registration and licensing requirements. Periodically, industry issues arise that require special attention by, or pose an immediate threat to, the MSC membership. In response, the Mulch & Soil Council provides a Special Advisory Reports defining the issue, its impact on members and how the industry should respond. Electronic copies of the reports are sent to all members as quickly as possible. Expert advice on complex industry issues.